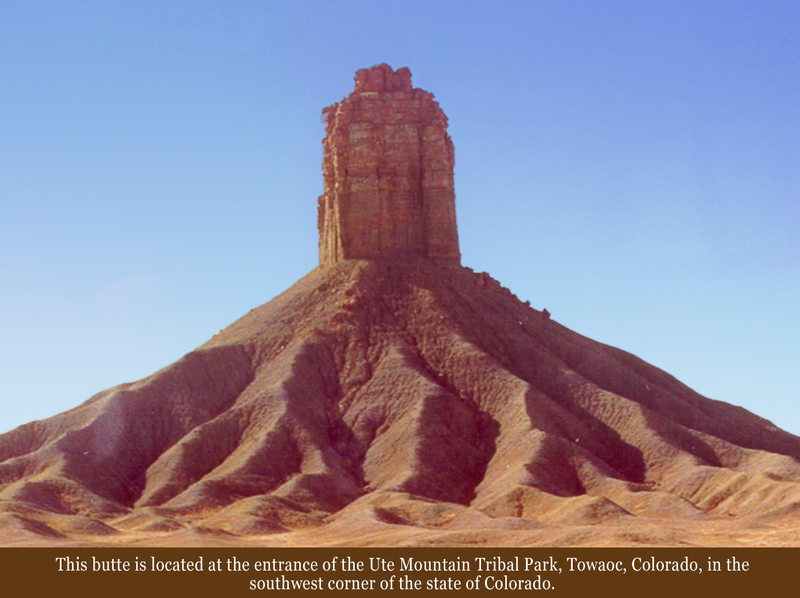 The butte has two names Chimney Rock and Jackson Butte. It is locally named Chimney Rock because of the chimney like shape. The formal name is Jackson Butte, named after the world famous photographer, William Henry Jackson. Jackson traveled through the Mancos Canyon in 1874 with the U.S. Government during the Hayden Survey. The base elevation of Chimney Rock is 5,452 feet. The formation was created by erosion from water that filled the area about 65 million years ago.